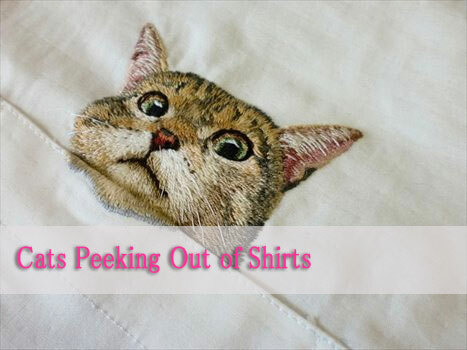 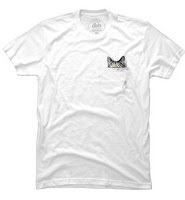 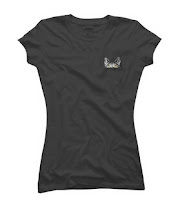 Cats Peeking Out of Shirts - What are you looking for ? They say cats have 9 lives. 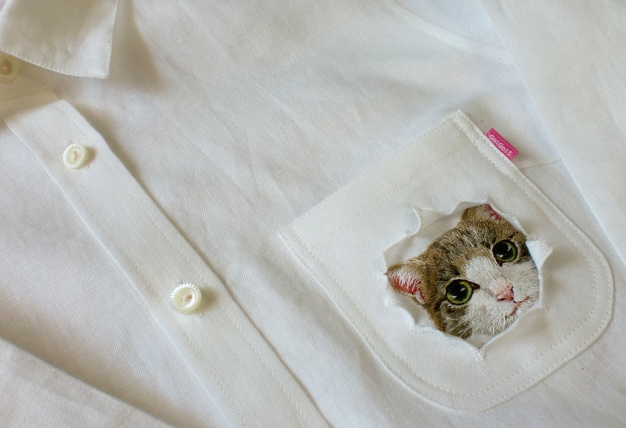 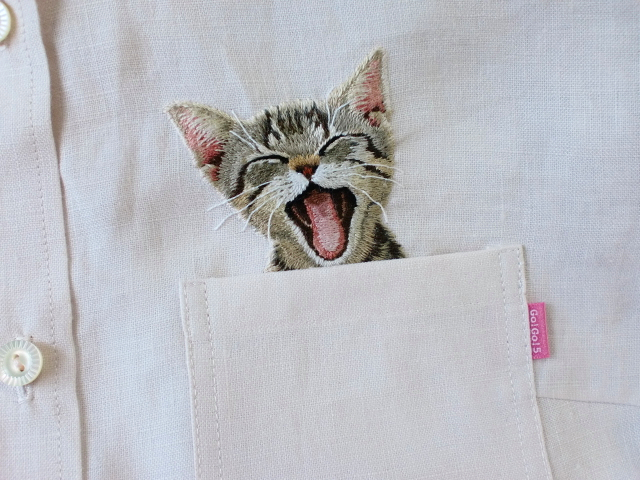 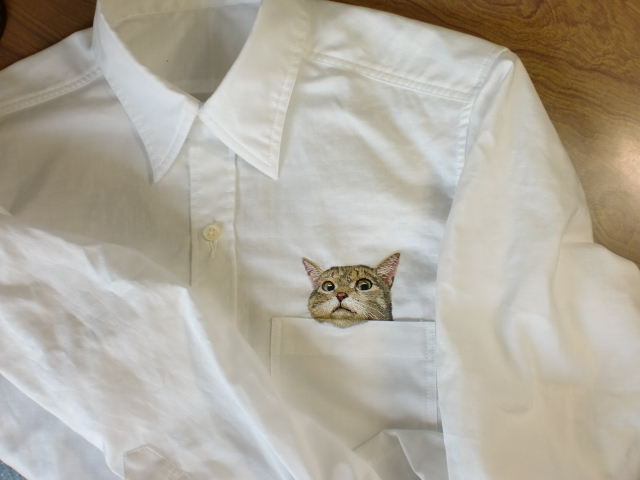 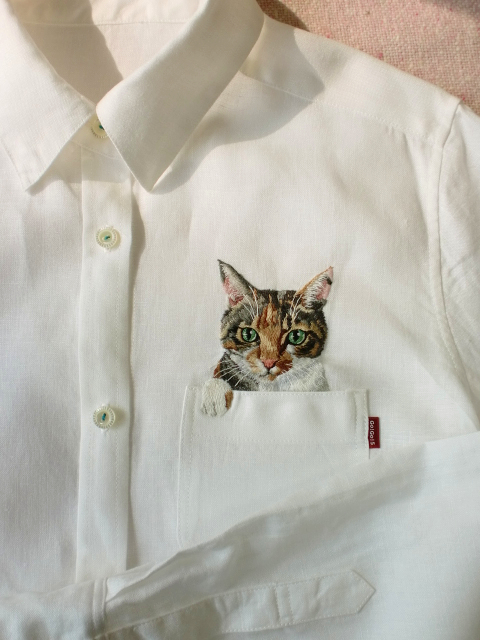 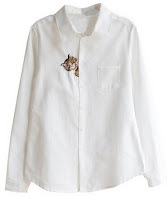 Then, thanks to embroidery artist Hiroko Kubota,now, cats have 1 more life.Hiroko Kubota created the cats hiding under the shirt pocket, and peeking out of shirts.